One of the definitions of a cohort is a companion or associate. That is what the equine contestants in rodeo are to their owners--companions and associates. These equine personalities make rodeo such an amazing sport, and many have fascinating stories. Today I'd like to tell you about Gills Bay Boy, better known as Scamper. Scamper accomplished what no other barrel horse has come near to doing. He and his owner, Charmayne James, won ten Women’s Pro Rodeo Association World Titles in a row between 1984 and 1993. Charmayne and her father bought the AQHA gelding from a feedlot when he was a six year old, and she was just twelve. It was rumored that Gils Bay Boy like to buck a bit when they got him. Only two years later the pair qualified for the National Finals Rodeo. They went on to win the NFR that year along with the WPRA World Championship and the WPRA Rookie of the Year. 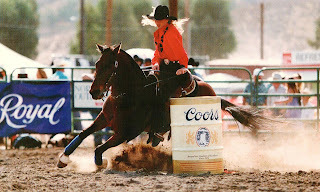 One of Scamper's most amazing runs came during the 1985 NFR. As they came down the alley to enter the arena, Scamper’s bridle broke. He not only ran the pattern on his own, he and Charmayne won the go-round. 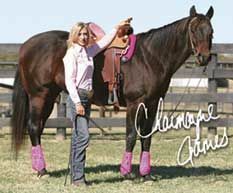 In 1986 Charmayne and Scamper won money in all ten rounds at the NFR, a feat only three other riders have accomplished. 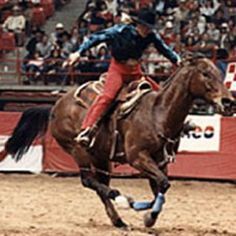 Scamper ended up with the enviable record of ten WPRA titles, six NFR titles and ten Rodeo Houston titles, along with many other circuit finals and major rodeo championships. He carried Charmayne to more than one million of her $1,842,506 lifetime earnings. He was retired after the 1994 season and was inducted into the Pro Rodeo Hall of Fame in Colorado Springs, Colorado in 1996. Because he was a gelding and could not reproduce, James made the decision to clone Scamper. The animal genetics corporation Viagen performed the cloning, and the ensuing foal, nicknamed Clayton, was born in 2006, kept a stallion, and now stands at stud. Scamper died at the age of thirty-five on July 4, 2012 . James said he enjoyed good health to the end. I was only fortunate enough to be able to watch Scamper run in person once, but I watched him on TV many times. As a cowgirl who's been around great barrel horses for most of her life, let me tell you, Scamper was one of a kind. 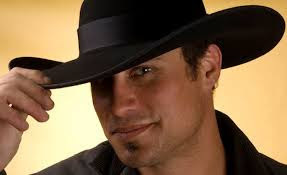 I wrote Changing A Cowboy's Tune with another great barrel horse in mind. My friend, Kali Jo Parker, was gracious enough to let me use her great mare, Tuneful, for my inspiration. Tuneful carried Kali Jo to many rodeo and barrel race wins. You can see the real Tuneful and Kali Jo on the cover below. 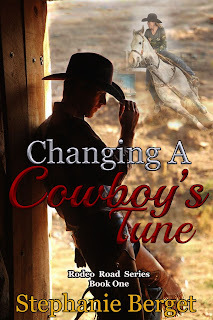 Get your copy of Changing A Cowboy's Tune here on Amazon. Did you ever watch Charmayne and Scamper run? Do you have a favorite horse that is one of a kind to you? I’ve spent the past four days trying to get my rear out of bed. I was sidelined by a nasty virus that left me taking doctor prescribed medicine that looked more like a horse pill that something offered for humans. However, the good news is that after whopping doses of penicillin the bug seems to be retreating. While I was half comatose between my morning and early afternoon naps, I began considering how pioneer women handled colds, viruses, flu, etc. 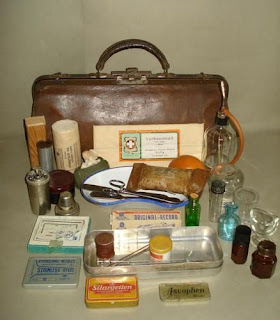 I do remember touring Yorktown and one of the stops was the physician’s tent. Early American doctors use some of the very same things we have in our kitchen cabinets. Cloves were used for toothaches. A whole clove was placed on the gum below the tooth in question or rubbed against a teething baby’s gums. In the case of fevers, a tea made with the grated knots from a willow tree – willow bark tea, was used to bring temperatures down. A simple leaf called a lamb’s ear could be used in poultices to stop bleeding. Camphor or mustard rubs would break up chest congestion. Often the heat would leave blisters on the skin. A fine case of blisters meant the medication was working. Gives new meaning to what doesn’t kill you might cure you. Now, that I’m feeling better, I went back to an old family bible, that was my great, great, great grandfather’s, Jonathan Whaley given to him in 1856. Not only did they list births, deaths, marriages, but medical advice. According to the ‘ladies’, a sure cure for Diphtheria was thus: a teaspoon of common sulfur mixed into a wine glass of water and used to gargle. For neuralgia, one must use a fresh cut lemon and rub against the heart. In the case of small pox, one must find a recently hanged individual and place the palm of the left hand against the skin. (Yeah, I must say, I’d just a soon die on that one) But, who would have thought, one would make a cure out of mold on bread either? 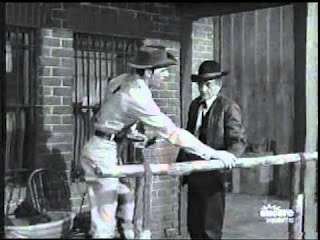 Actors Milburn Stone and Dennis Weaver on a still from the long running western, "Gunsmoke". Sorry about last month folks…had a water leak and it took three days to narrow it down that it was at the meter, of course on my end. After digging a two-foot wide hole, a foot deep, there it was, the pipe had split. Thank goodness for my wonderful neighbors! I ended up being without water for 3 days. We had terrible storms during those 3 days, so put out buckets/containers for the rain to fill. On Memorial Day…wala water! Back in 2009 we had a 100-year ice storm that left many of us in Western KY without power for up to 21 days. Our water districts’ generators went on the fritz and we were without water for a day, then also. So all this got me to thinking about how spoiled we all are living in this high-speed technical world we exist in nowadays. 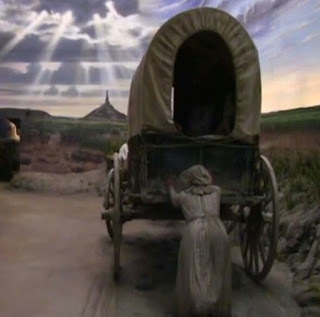 Would we have survived traveling west in covered wagons, walking miles on foot? If you were lucky you had a horse to ride. 2200 miles of dust, heat, bugs, rationing of water, food and death. Wearing the same dirty clothes for weeks on end. A bath? Forget it. 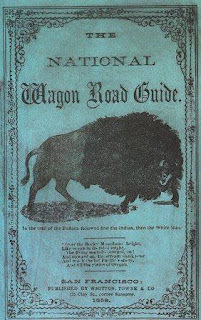 If you made it to Saint Joe or Independence, Mo, you would buy a wagon and good stock, then join a wagon train headed west, to several destinations. But wait? Do you have enough money left after buying the wagon and stock to buy the goods you would need on this 2200 mile trek? 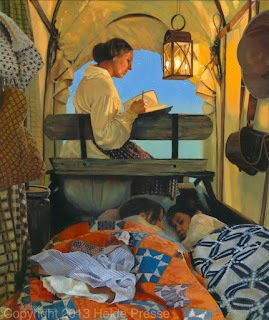 Now, you’ve put your necessary supplies inside a 4-foot by 9x11 foot length and 2-3 feet deep wagon bed. Wait! What about your other personal items…where will those go? Your grandmother’s organ that was handed down from generation to generation…gotta leave it behind. Oh…no! Trunks of your Sunday best clothes and other items…that grandfather clock you insisted on bringing? Nope, no room. I imagine many tears were shed in leaving so many precious things behind, but these pioneers had a dream. 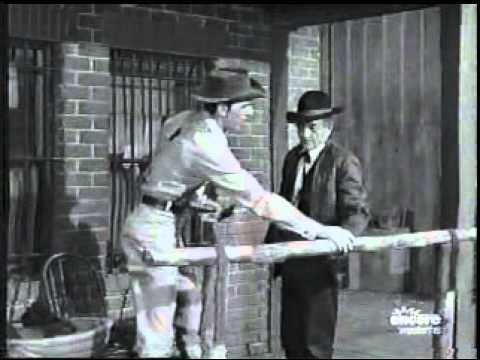 How many of you have watched the old Wagon Train TV series and saw those roomy wagon box interiors? With bunks along one side or hanging hammocks to sleep in, maybe a rocking chair, chests of drawers? Nope, only the bare necessities were in the wagon. A typical prairie schooner weighed about 1,300 pounds when empty, and the general goal was to keep the weight of the added cargo to no more than 2,000 pounds. Now, thats a lot of weight for teams to pull, why oxen were the preferred animals for the westward trek. Today is the day you will hear those famous words, Wagons Ho… and you are finally on the move to new adventures and a new life. Many a man, woman and child had no idea how hard or treacherous this journey would be. They looked through rose colored glasses that became scratched, then broken after months on the trail, but they had a dream to settle new lands and the courage to try and make that dream come true. Many travelers gave up, pulling ranks and turning back, not having the stomach to go any further. I’m not sure I would have had the guts or courage to do this. Many of our ancestors built this land and I thank them for having the courage to explore a new life and lay the groundwork for our America! Until we meet again…Happy Trails! !